Ok I asked for some suggestions in regard to what you'd like to see in future scrap kits and I received many "black & white" and "grey" suggestions. So I hope this one spikes your interest. I made a 3 piece forum set with it to give you an idea of what you can do. Thank you so much for this post. 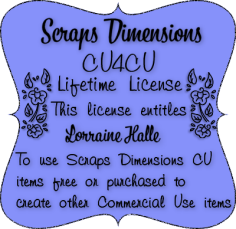 I want to let you know that I posted a link to your blog in CBH Digital Scrapbooking Freebies (please, notice the new url for my blog), under the Page 6 post on May. 08, 2012. Thanks again. 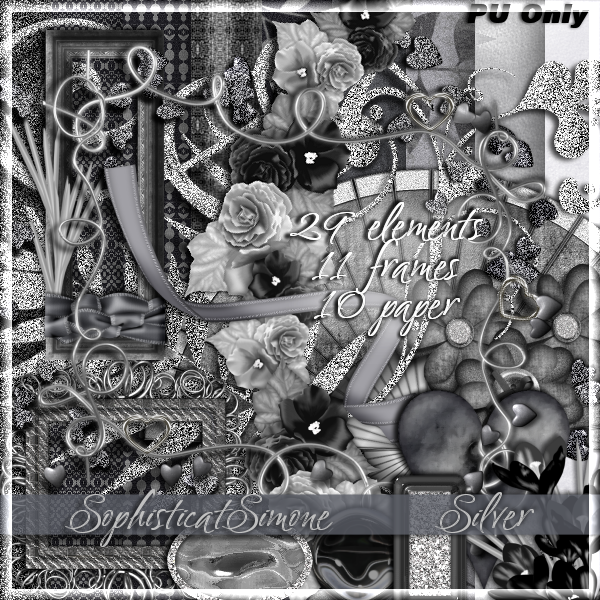 Thank you very much Simone for this beautiful scrap! This is beautiful! As is the forum set! Awesome Kit Simone! Thank you so much for sharing. Beautiful kit, thanx a lot! Gorgoeus kit -- thank you for making this for us. Thank you so much for the Silver kit. I have already played around with it. Gorgeous! Made the frame deep red in a bed of the rest only silver with the photo a black and white. Stunning!! Is there a tutorial for this? I love the forum set...Gorgeous! 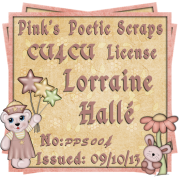 Thank you very much for this beautiful scrap! beautiful work! I hate "cartoon" type kits. yours are lovely. Thanks so much for the beautiful silver scrap kit! Gorgeous kit!! Thanks so much! Where'd u get the girl? Oh, what a beautiful kit. Thank you so much for giving this away!